Sure, it’s a great excuse, but it isn’t the only reason. If that sounds scary to you, then you’ll understand how I felt. Work and grief are not the same. Just as you cannot replace tears with sweat, you cannot replace sorrow with labor. Sweat and tears both taste salty, but they are not interchangeable. Tears rarely cool you off on a hot day and sweat stings when it gets in your eyes. Each is unique to itself and each must be used appropriately. It is the same with work and grief. They are not interchangeable. Do not work harder when you need to grieve. Do not grieve when you need to work harder. Each activity is unique to itself and each must be used appropriately. 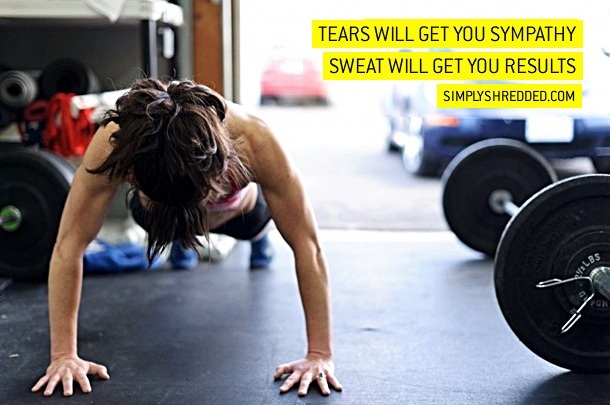 If the sweat is stinging your eyes, wipe off your face, stupid. Work can’t replace grief. Sometimes you need to cry and if you try to replace tears with sweat you’ll just end up stinging your eyes. Almost NINE years later, I found the perfect quote on I CAN DO IT. YES! That’s the perfect quote!